The seemingly inevitable arrival of self-driving cars slipped a gear this week after Uber suspended its fleet of autonomous vehicles following a crash in Arizona. Images have emerged online showing the taxi firm’s self-driving Volvo XC90 toppled onto its side next to another badly damaged vehicle. No serious injuries happened as a result of the crash. 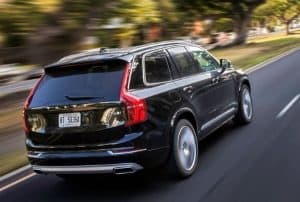 The Volvo was carrying two engineers and despite a person being at the wheel at the time of the collision, it is unclear if the car was in self-driving mode. Regardless, initial police reports suggest that the accident was caused by another driver who failed to give way to the self-driving car, negating any fault on the part of Uber’s car. So, as with previous incidents involving self-driving cars, it was a human at fault, more than likely. California-based electric car maker Tesla famously wrote off one of its self-driving prototypes, but only once a human had taken control. As a precaution, Uber removed all of its self-driving cars from US roads (tests were also being conducted in Pennsylvania and California) whilst an investigation was ongoing. Some car makers are optimistic these autonomous cars will be publicly available before the next decade, with Tesla hopeful of marketing a self-driving car in 2018. Meanwhile, Nissan is promising not one but ten self-driving cars by 2020.